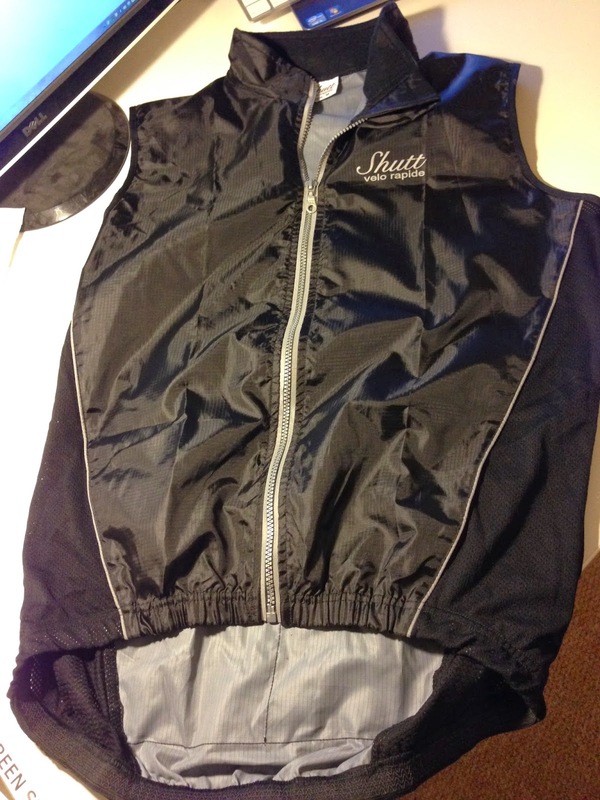 Good things come to those who wait, and the Shutt Velo Rapide Lightweight Gilet is indeed A Good Thing. In my case the wait's been about 6 months, having done some R&D skunkwork for Pete and Lauren back in 2013 on the prototype. The new 2014 gilet is just the business, arriving in time for 'spring' as the season is now according to Radio 4. Roubaix fleece-lined collar - silky comfy warm, and not too tight to accommodate the neck of a jersey or a jauntily-worn Buff underneath. 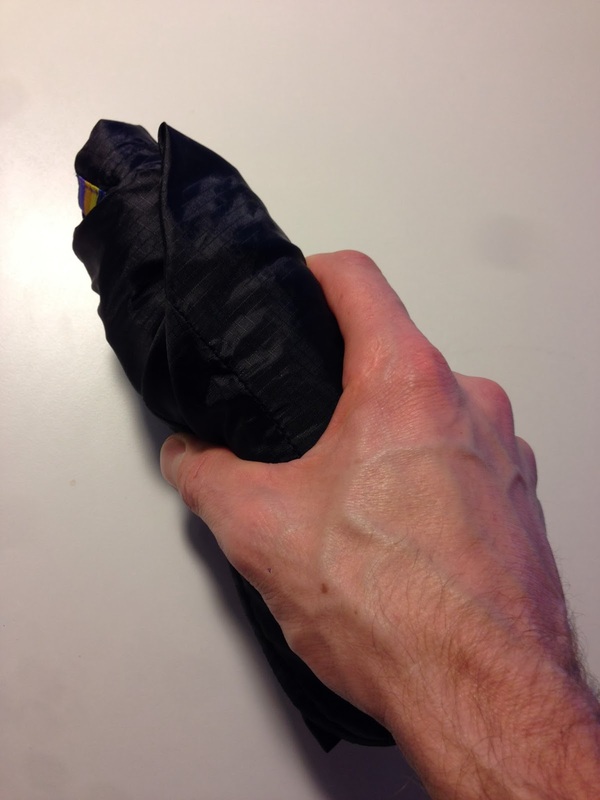 Two nice deep elasticated pockets - as the things most likely to go in them are arm/leg warmers. 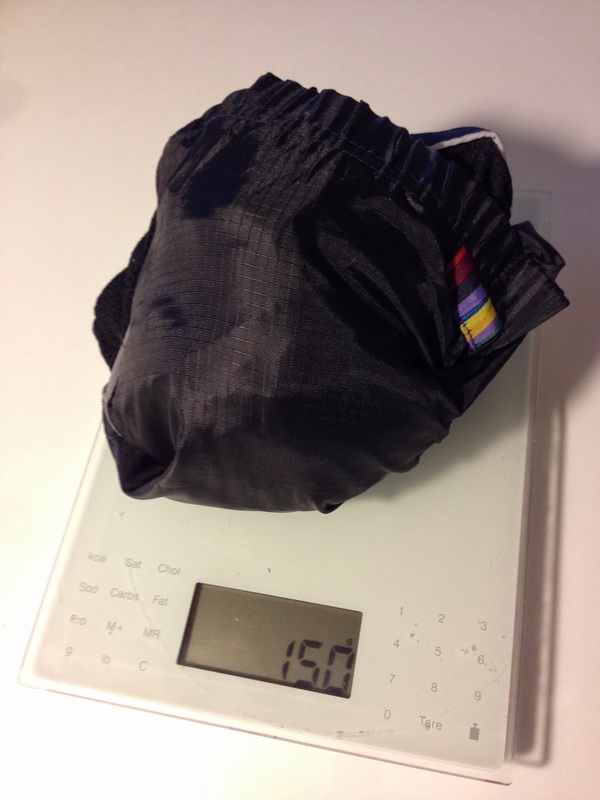 The GâteauVélo scales of semi-truth tell us it's bang on 150 grams - not bad for all the features and £75. You can pay twice that for something not much lighter with no pockets or fleece collar. The gilet rolls up into a fist-and-a-bit size bundle, which fits easily into a jersey pocket. Can't wait for a chilly-but-not-too-chilly day, not heavy rain, to get out there and give it a thrashing. Something tells me it won't be long. Stay posted. 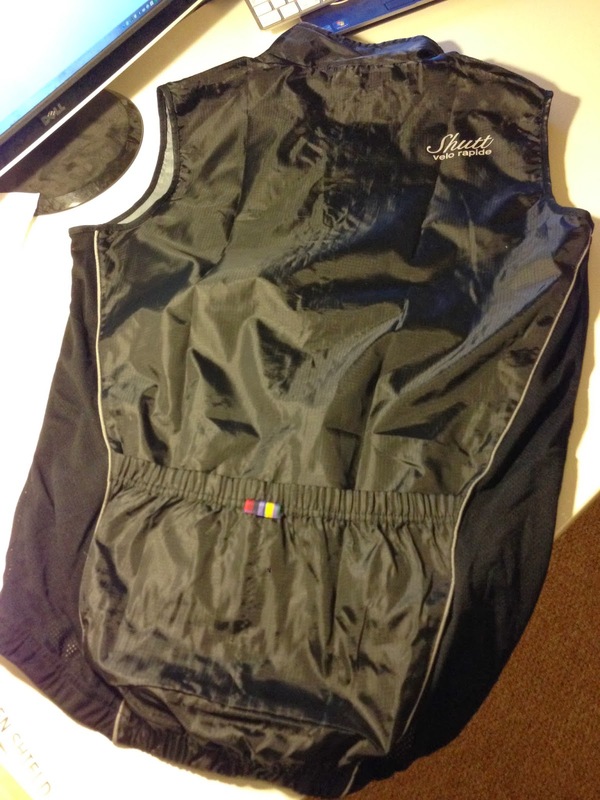 UPDATE Feb 2014: having taken the gilet out for a couple of long rides in low temps and decent winds, it does what it says on the tin, and does it very well. Can't fault it.